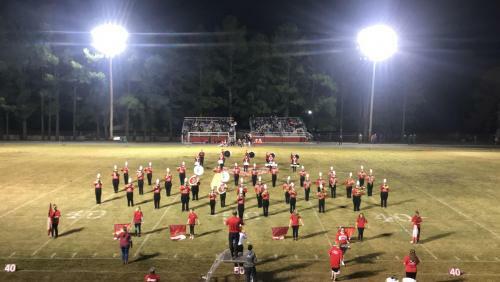 The Mountain Pine High School P.R.I.D.E of the Red Devils is an ensemble consisting of students in grades 8-12 with some members being moved up from the 7th grade. The Pride of the Red Devils performs at all Home Jr. High Football games as well as all Home and Away Sr. High Football games. As well as select Basketball games in the spring semester. In addition to several performance opportunities, the Music Department also attends the annual, “Education in Motion,” at Magic Springs each May. So don’t miss your chance to be a part of the process and become a cornerstone of the new Mountain Pine Red Devil Band. Pride students can also sign up to take private lessons from the Director of Bands, Mr. Johns. These lessons will help you prepare for All-Region and All-State Auditions, as well as College Scholarship Auditions and Solo/Ensemble Competitions. Come talk to Mr. Johns today!